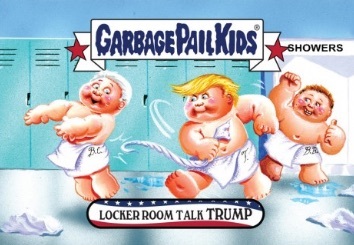 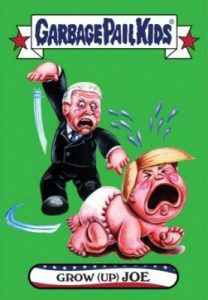 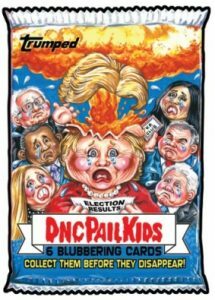 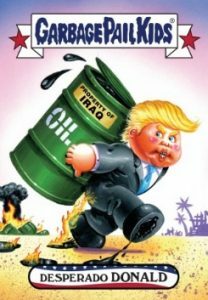 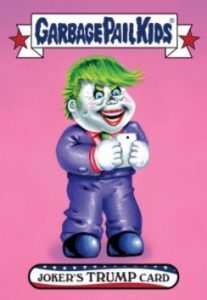 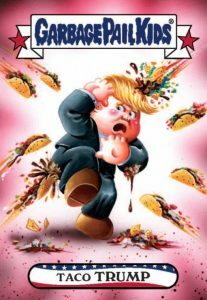 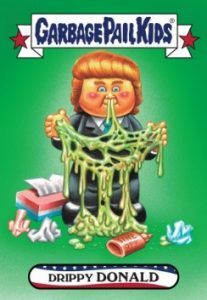 While the '16 presidential election is now over, the Topps Garbage Pail Kids Disg-Race to the White House stickers are still going strong with more online exclusives. 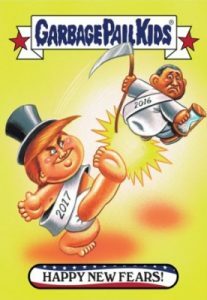 Similar to the Topps Now format, a new card in the on-demand set is made available for 24 hours before being retired from production. 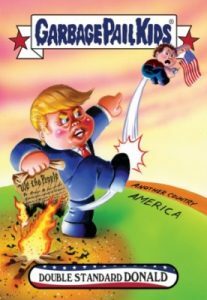 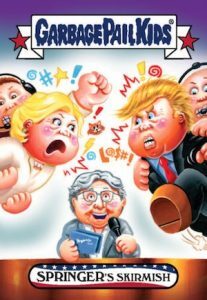 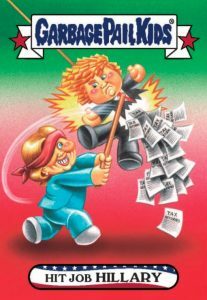 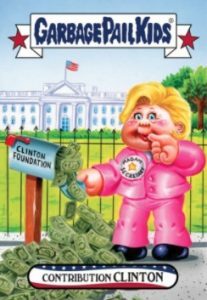 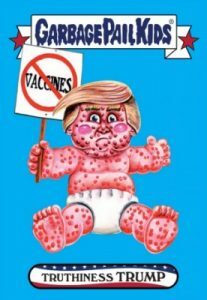 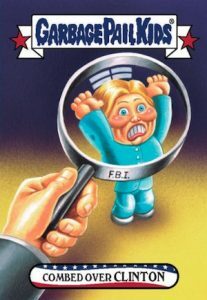 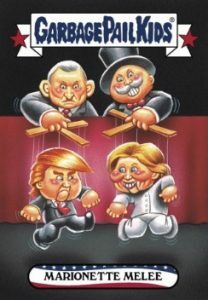 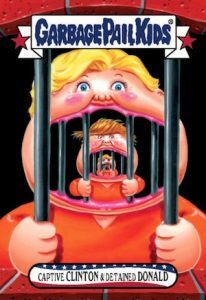 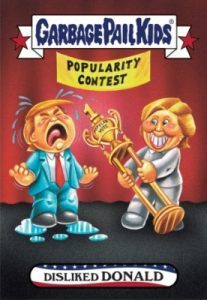 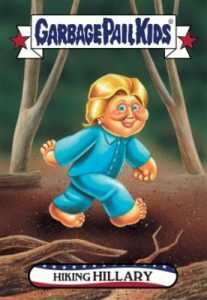 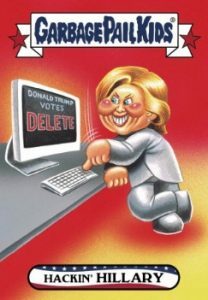 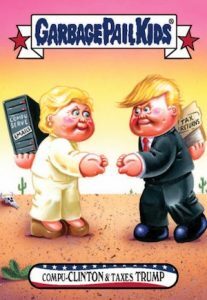 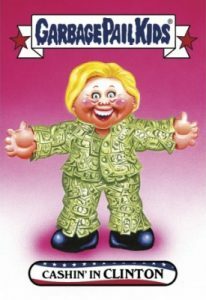 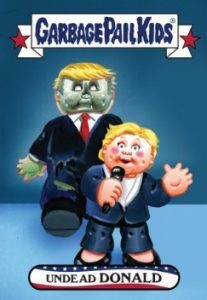 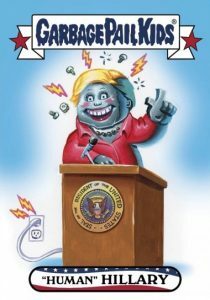 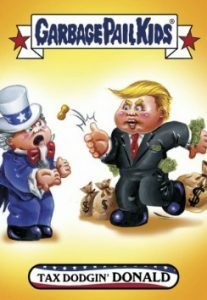 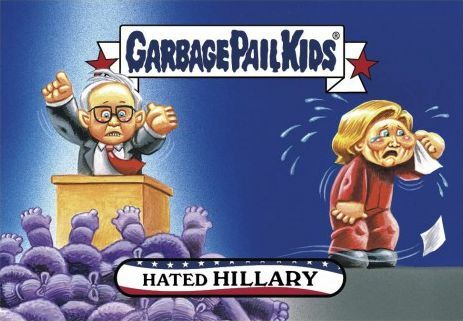 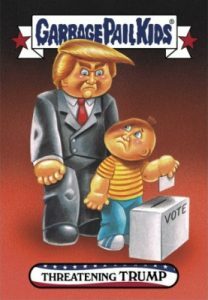 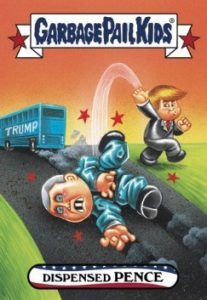 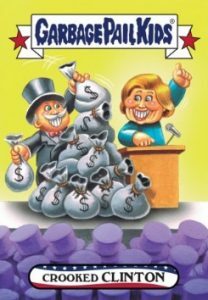 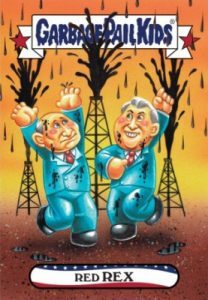 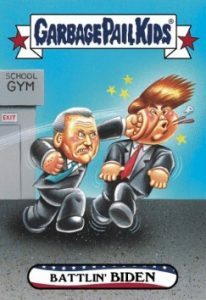 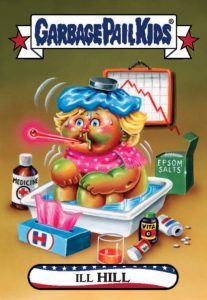 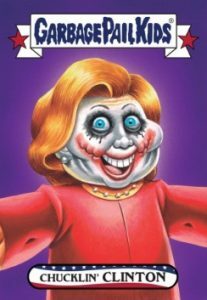 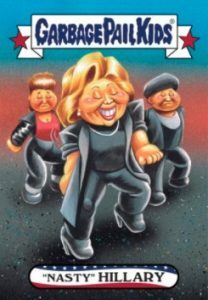 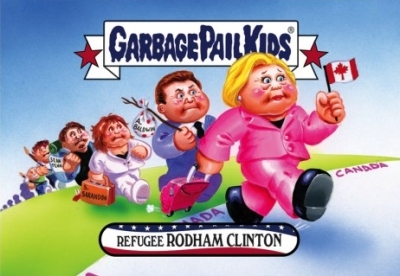 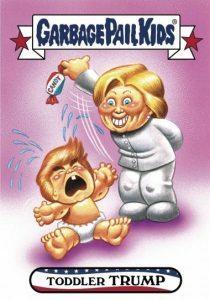 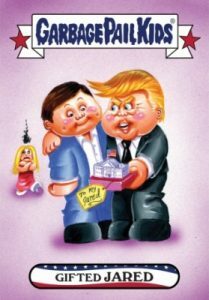 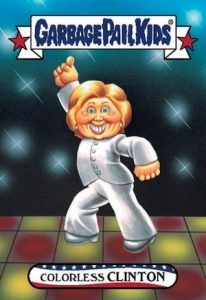 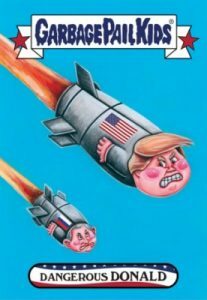 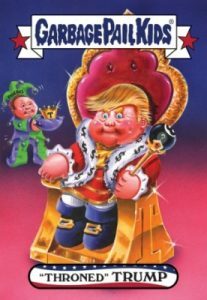 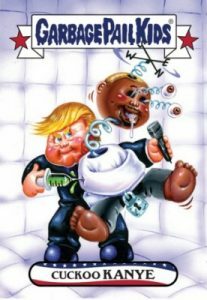 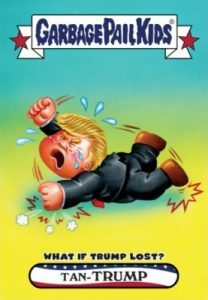 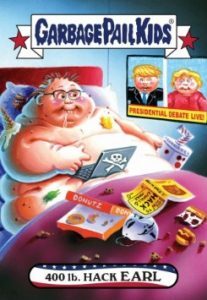 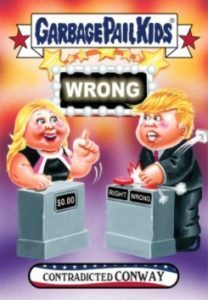 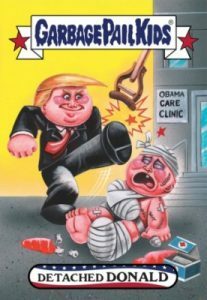 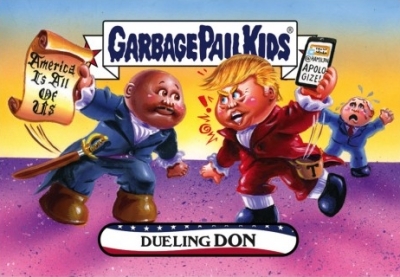 The first Topps Garbage Pail Kids Disg-Race to the White House card coincided with the initial debate pitting Hillary Clinton against Donald Trump. 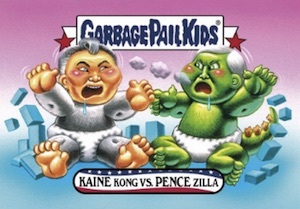 Featuring a King Kong vs. Godzilla vibe, even Bernie Sanders makes a small appearance. 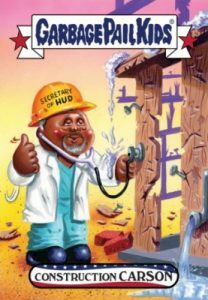 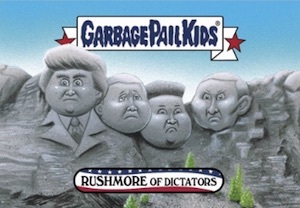 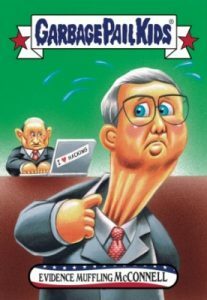 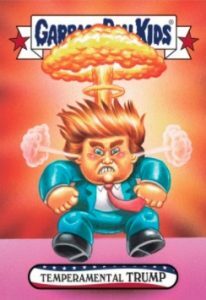 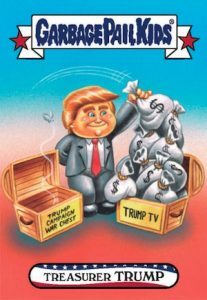 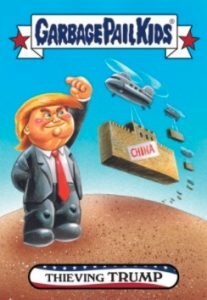 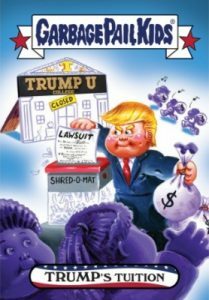 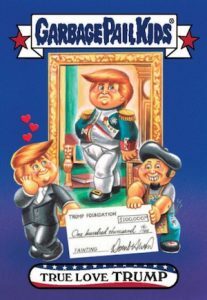 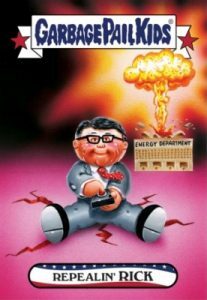 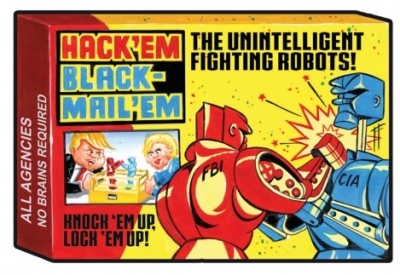 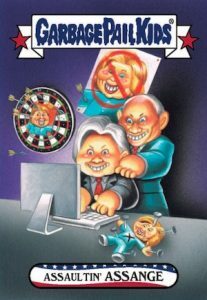 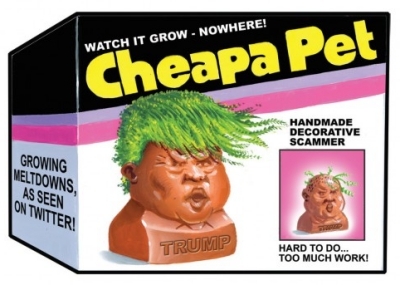 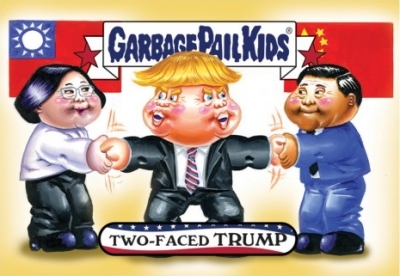 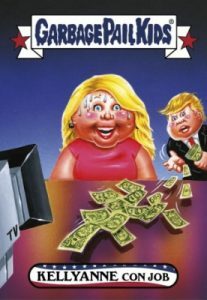 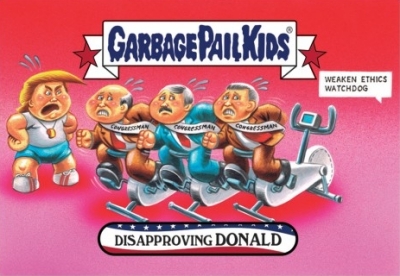 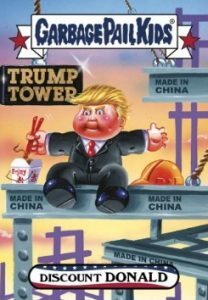 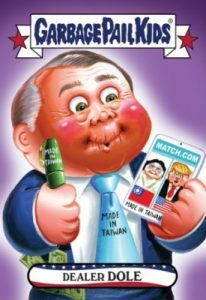 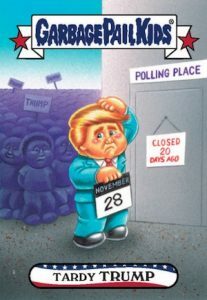 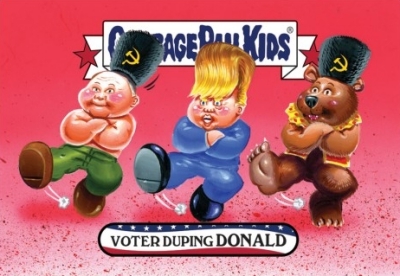 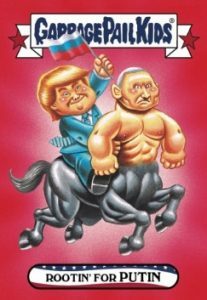 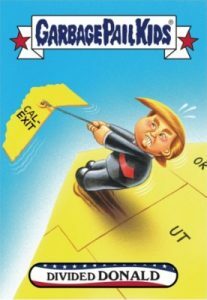 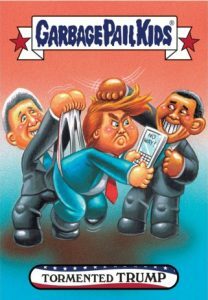 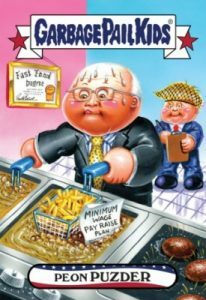 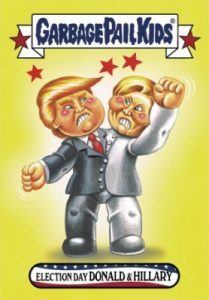 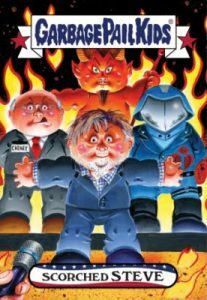 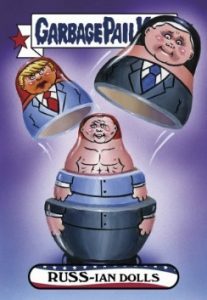 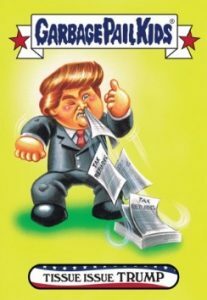 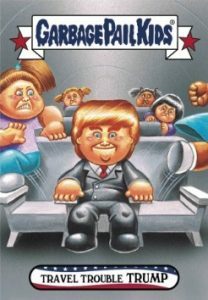 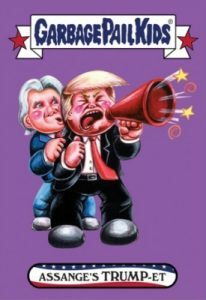 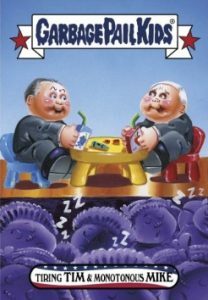 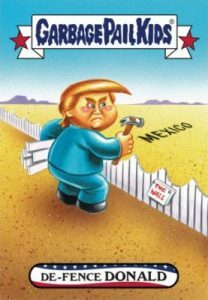 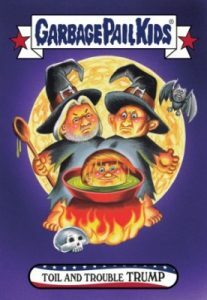 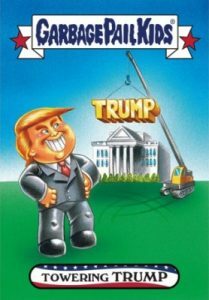 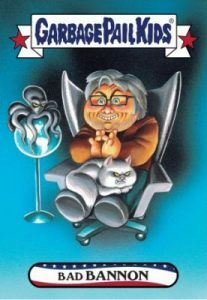 Although previous GPK presidential releases have been mostly standalone sets with sales windows of 48 hours to a full week, the Disg-Race model tweaks that to more limited one-card releases set around a central theme. 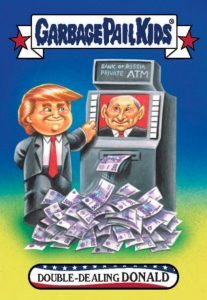 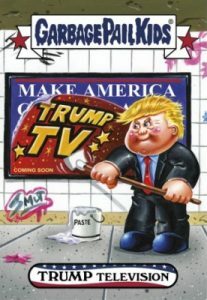 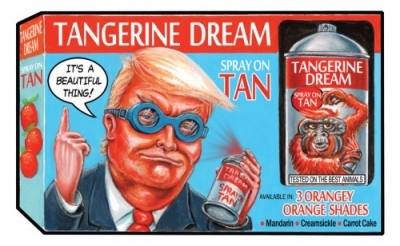 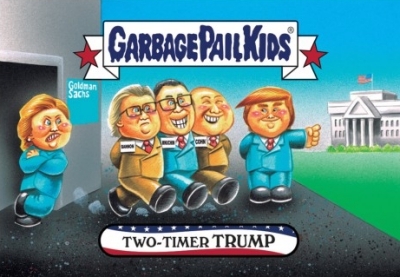 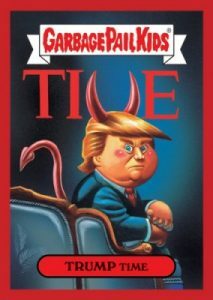 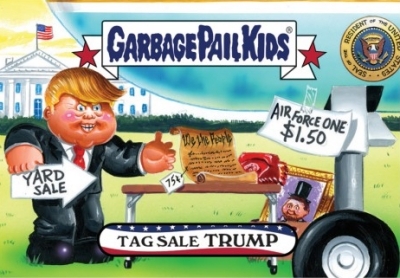 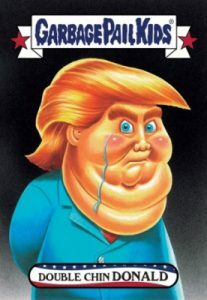 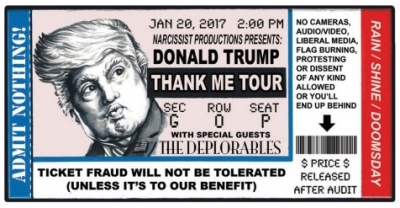 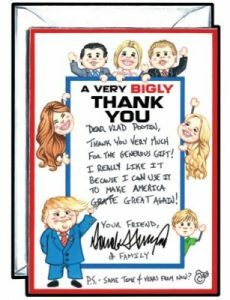 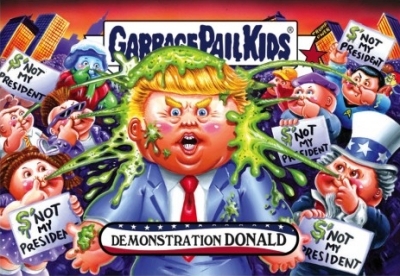 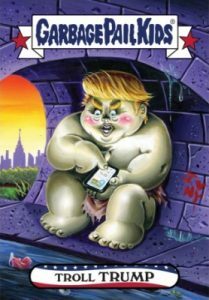 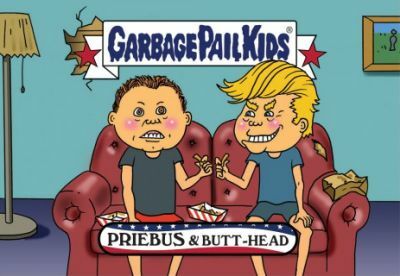 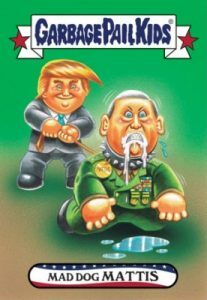 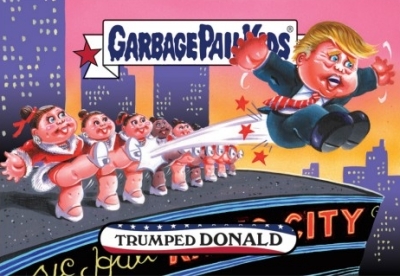 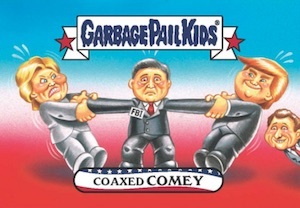 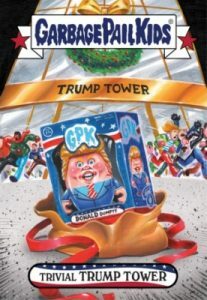 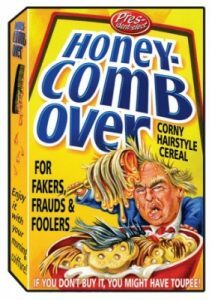 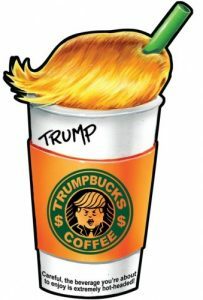 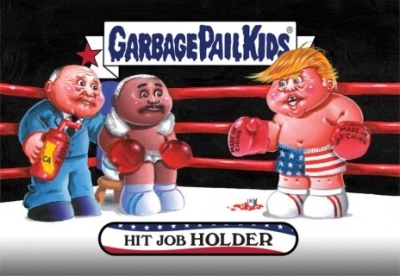 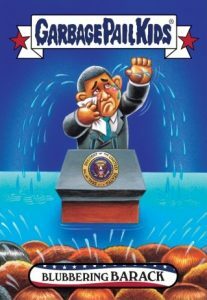 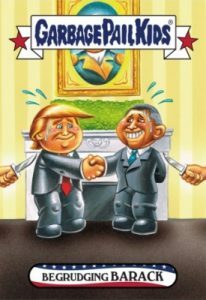 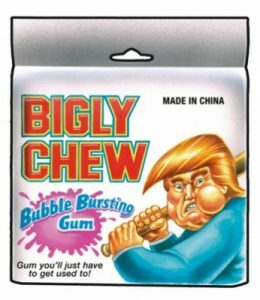 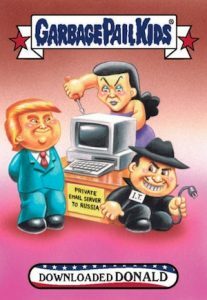 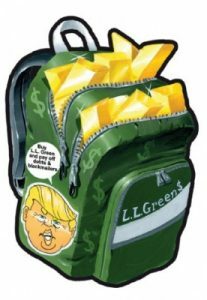 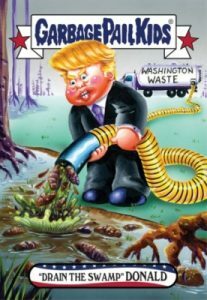 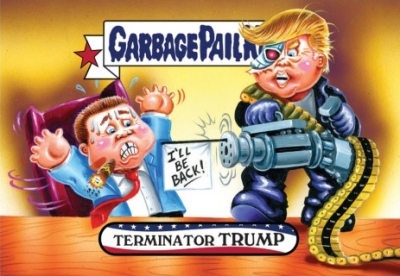 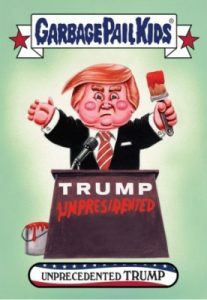 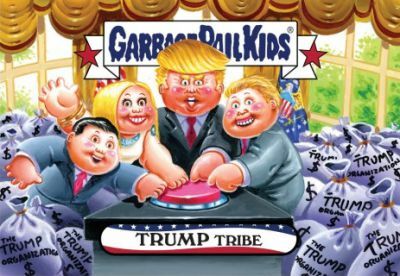 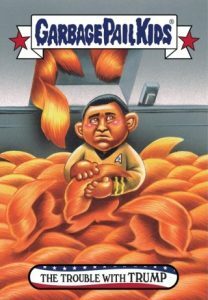 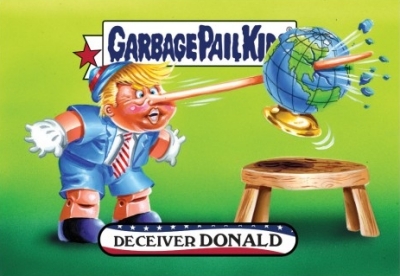 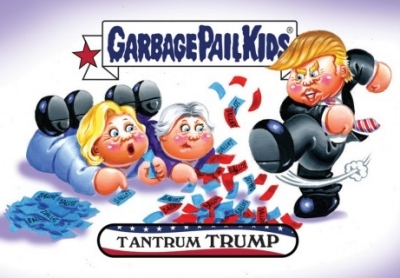 Once the sales window ends, the ordered cards will produced and the final print runs for Topps Garbage Pail Kids Disg-Race to the White House will be announced. 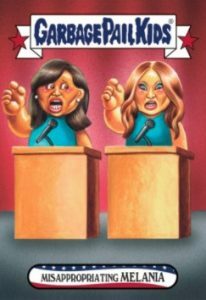 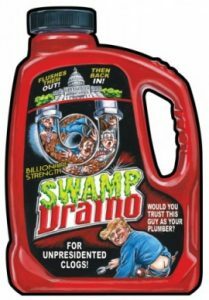 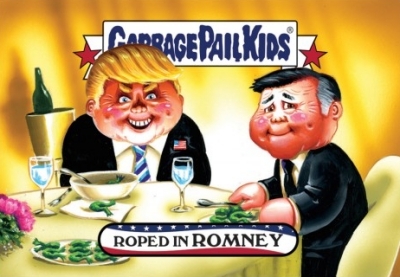 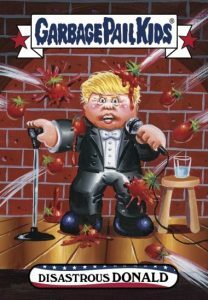 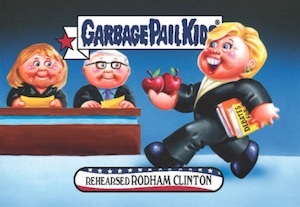 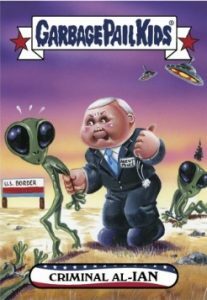 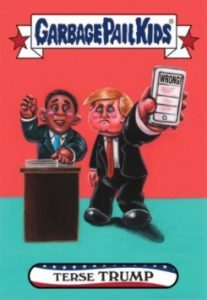 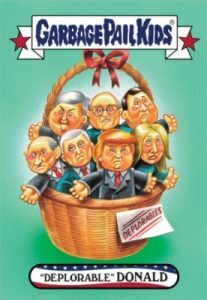 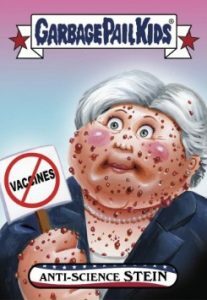 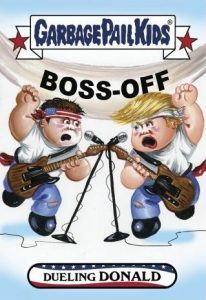 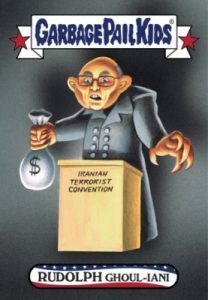 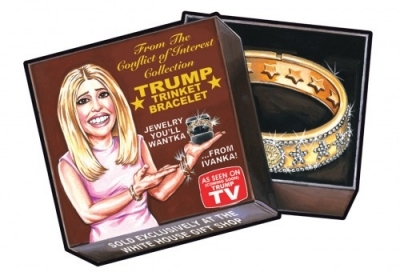 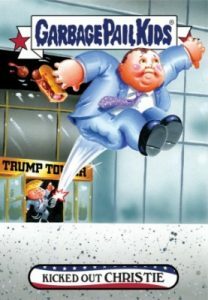 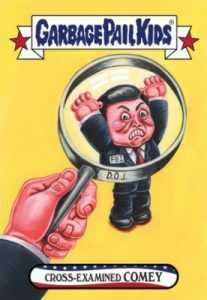 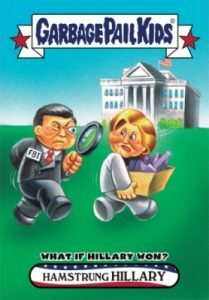 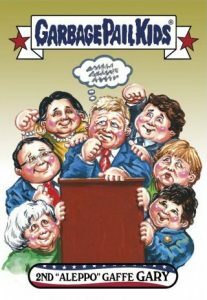 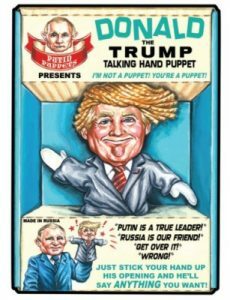 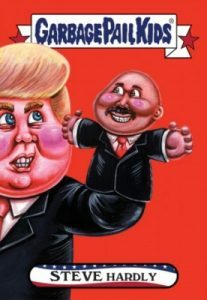 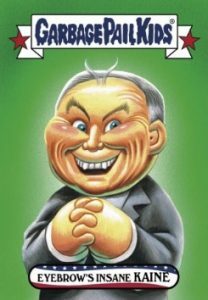 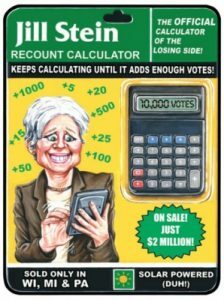 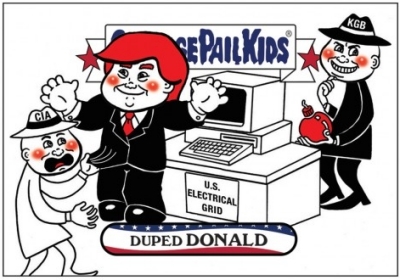 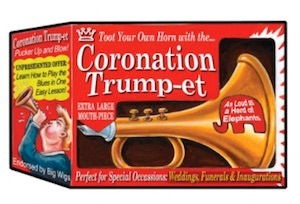 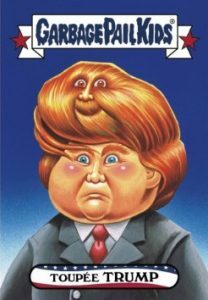 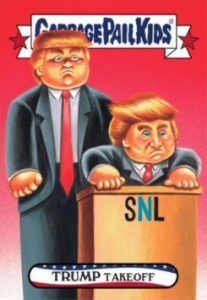 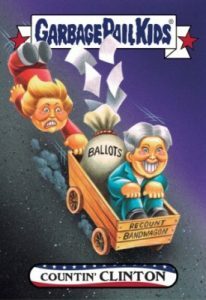 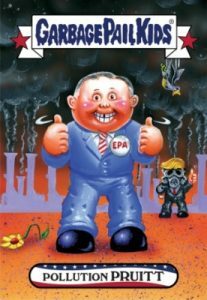 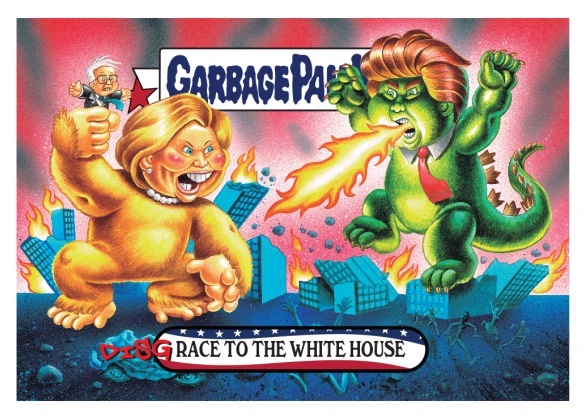 Shop for current GPK Disg-Race to the White House cards on Topps. 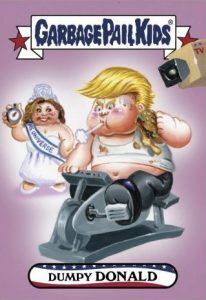 Announced print runs (PR) is noted below. 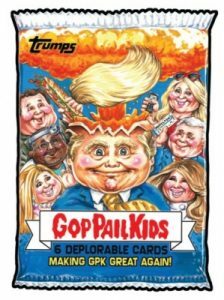 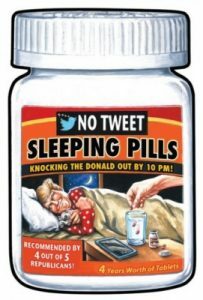 Each card available for 24 hours. 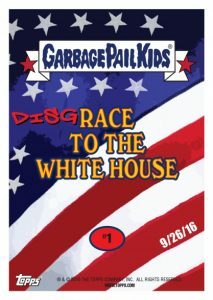 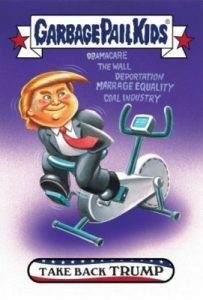 Purchase previous Disg-Race to the White House cards on eBay using the links below. 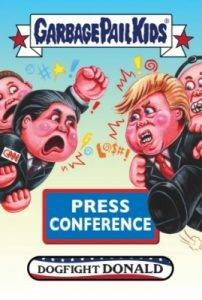 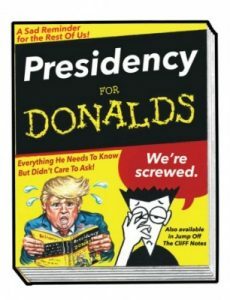 Announced print runs (PR) will be noted. 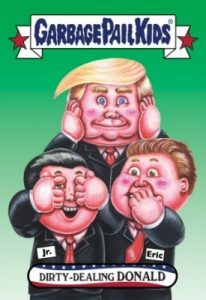 Each card available for 24 hours.